The Fellowship was fortunate enough to obtain a copy of THE FOX #1 from Red Circle Comics. The plot and line art is by Dean Haspiel, the script is by Mark Waid, the lettering is by John Workman, and colors by Allen Passalaqua. Photo-Journalist Paul Patton interviews Ms. Lucy Fer, who is unveiling a new social media network MYFACE. Paul finishes the interview with taking pictures of the beautiful woman. She agrees on the condition that she approves which picture would be used. Paul, being old school, takes his camera to a darkroom to develop the pictures and discovers the truth about Lucy. In the backup tale, Paul is looking to buy a Polaroid camera for his son. He wants to try it out before he makes the purchase, but may regret taking a picture of a certain building. The premise of this series is about Patton becoming The Fox to get the stories he wants, but becoming a magnet for the weird in the process. 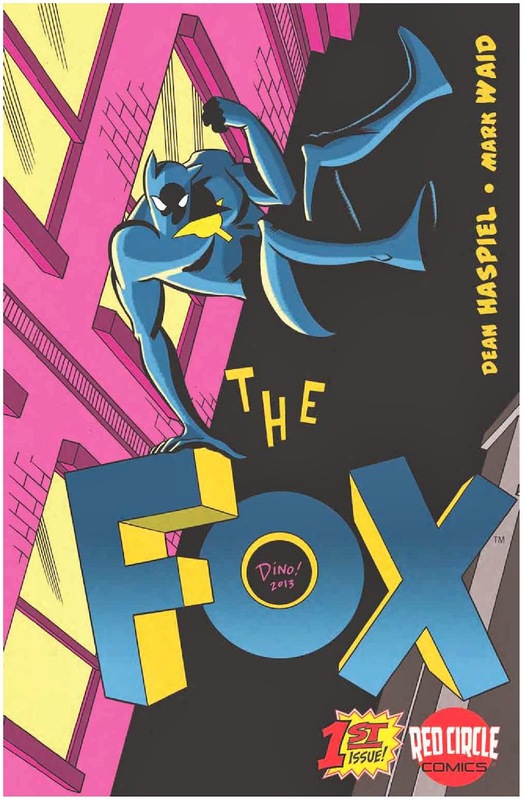 THE FOX is like something out of the Silver Age of comics: wacky, fun, and action packed. I truly loved this book. Check it out! THE FOX #1 is in stores now, or available to order at www.Redcirclecomics.com.